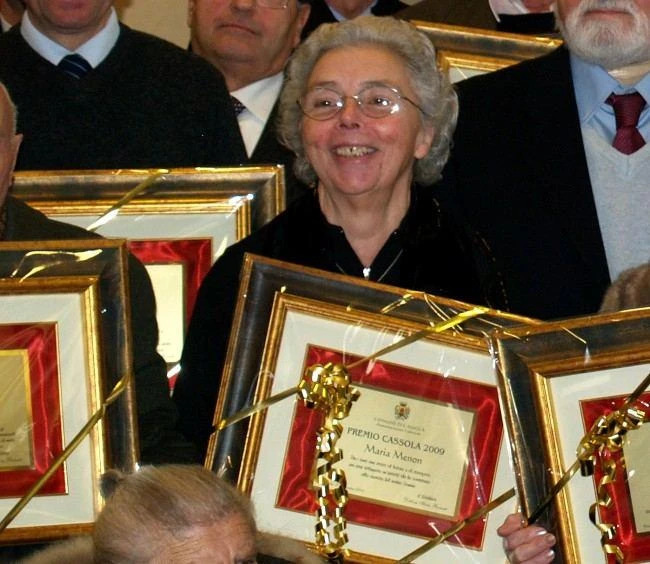 The town hall officials, led by Mayor Silvia Pasinato, gave the “Cassola Award” to Maria Menon, the Francesco Comunello's wife, for her 50 years of work in the family business. From the very beginning, from that first bicycle shop, Maria was at her husband's side, playing a vital role in the realization of all the products that through the years were part of the company's catalogs (first bicycles, then agricultural tools, tool boxes, safes and finally, upfitting for vans). And after Francesco's passing, in 1982, Maria continued to run the business with her sons Luca and Adamo. The Cassola Award is given for distinguished service for social works in the comunity, for volunteer work, for sports excellence, and for distinction in business. Maria “the mechanic” (the nickname everyone knows her by) was selected for the award for “having developed a business that contributed to the growth of the our comunity”, (as written by the town hall officials).